يقع فندق ليدو سويتس في Potts Point, سيدني, هو خيار شائع بين المسافرين. يمكن من هنا للضيوف الاستمتاع بسهولة الوصول إلى كل ما تقدمه هذه المدينة النابضة بالحياة. بالنسبة لمن يريد الخروج، هذه بعض المعالم السياحية المتوفرة للزوار الالامين فونتن, Kings Cross Inner City, Kings Cross. يقدم فندق ليدو سويتس خدمات لا غبار عليها وكل أشكال اللياقة وحسن الضيافة اللازمة لإسعاد ضيوفه. تتضمن الميزات الرئيسية في هذا الفندق: واي فاي مجاني في جميع الغرف, تخزين الأمتعة, واي فاي في المناطق العامة, غرفة عائلية, خدمة غسيل الملابس. لقد جهزت هذه الإقامة الفندقية بعناية فائقة لتوفر مستوى عالي من الراحة. في بعض الغرف يجد النزيل تلفزيون بشاشة مسطحة, اتصال لاسلكي بالإنترنت, اتصال لاسلكي بشبكة الإنترنت (مجاني), غرف لغير المدخنين, مكيف هواء. يقدم الفندق خدمات رائعة كمثل مسار جولف - ضمن 3 كم لمساعدتك على الاسترخاء بعد نهار طويل من النشاط والتجوال في المدينة. اكتشف مزيجاً ساحراً من الخدمة الاحترافية والخيارات الواسعة من وسائل الراحة والمتعة في فندق ليدو سويتس. room is big, however there are small cockroachs in the kitchen area. Lift is a bit old, and the shower head was broken. 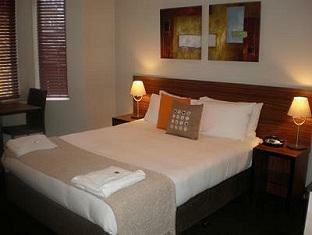 Apart from these it's good to stay, and it is only a few minutes walk to a big supermarket and Kingcross station. We only stayed one night but the place is roomier than other similar places we've stayed nearby, clean and quiet. The night manager checked us in slightly after the normal time even though he was feeling a bit under the weather. It is close to restaurants, cafes and other entertainment places and also close to public transport. Pleasant enough stay at Lido Suites. Very lovely, helpful staff. Lift in building a big plus. Supermarkets, food etc nearby. In the room, the furniture and carpet were badly stained which made the room feel dirty. It was reasonably clean but there was dust on cutlery in the drawer. The bathroom had quite a few short dark hairs around the shower area, otherwise appeared clean. I would say, pretty good value for money but not a particularly nice room all in all. I'd prefer to spend more next time. Place has a bad smell, Lift doesn't work, or when it does, it gives you whiplash. Staff, especially the night time guy is very rude and blames you for making too much noise. Showers dont have adequate ventilation so it steams up and many times, fire alarm goes off and fire dept gets called, and every evacuate. You are better off staying at another place. We stayed at this well located hotel for 5 nights. Unfortunately, the lift was out of order the whole time that we were there... so we had to bring up and down our suitcases. Our clean room was located at the topmost floor, the 4th level. We put up at this place for a night while waiting for the rest of the group to arrive in Sydney. The hotel is located in King's Cross area, slightly tucked away from the busy main street dotted with happening casinos and pubs. We had one of the best steak in a nearby pub bistro too. It's a cool place to be. The lift is kinda oldish and made really loud bang and noise whenever we use it. Makes me wonder whether it'll just fall apart. You can always use the stairs if you feel very insecure. But everyone just use the lift and it's fine. The room comes with a kitchenette and a small dining area. I like this place. The hotel is near the train station and there are also many restaurants and convenience stores nearby. There's also a Coles Supermarket within walking distance. The room is clean and spacious and includes a kitchenette. There's also a flatiron and ironing board and a ref. Overall, it's a good base when you're touring Sydney. My only concern is that it's located in the red light district. I wasn't aware of this when I booked. If you're travelling with kids it may not be appropriate to stay here because at night you'll see ladies in revealing clothes outside the establishments. Otherwise, it's a good hotel. We already mentioned the loose hot shower metal holder when I checked out early morning yesterday , I’m afraid for any possible accident , pls look into that..thank you so much and looking forward for my next trip next year . Chona Arenas- from Singapore . I had to settle for a room at Lido Suites Hotel due to the really great price for a room with 2 separate beds and a private bathroom! Upon arrival, I realized that the location was just ideally close to the train station, eateries, convenience stores and whatnot! This is an incredible deal for the neighborhood, but the place definitely felt a bit like something strange was going on behind closed doors. The carpet is pretty gross and needs to be replaced ASAP, also. Hotel is value for money. Location is excellent though cleanliness was on the lower side. It was average as they have carpets which are not cleaned regularly. Other than that internet is a bit slow. It's old school DSL shared across the hotel and has a very high packet loss at night time. Rest everything is petty good. Staff is friendly and they also have a microwave in each room which is nice. near to big bus hop on hop off location. big room.. only need to repair lift . looks very old and dont have indication when we push the floor button. always bring me to 3rd level even if i push to 2nd button. This is not Elegant Hotel. it's Awful, hallway wall lots of damp ,very old and hallway has cigaret butts. Rooms spacious, location is great. Reception it is not what it looks like on the photo, room it is not what it look like in the photo, dissapointed when we came in, elevator very old and it plays up the number. This is not Elegant as they claim in their photos. Friendly front desk , overall value for money. Stayed in barnclueth suite with husband & 8 months old baby. Great location near kings cross station, friendly & helpful staffs, room with attached private bathroom - very clean & tidy. Not noisy at night as claimed by others. Will stay here again next time. The neighborhood gets a bit seedy at night as there are some stripclubs nearby, but might be a plus I guess if you're into that kind of thing. Still feels safe though as there are a lot of people around. It locate in King Cross, some time may feel a bit noise and unsecured. But generally it is good and especial the room facilities and low price is the main consideration for my stay. It met what I expected.